The RWD-6 was unique in both its design and flight characteristics. In its day, the RWD-6 was the best "short take-off and landing" aircraft in the world. It became the blueprint for a class of designs later known as STOL (short take off and landing). RWD is an acronym for Rogalski, Wigura and Drzewiecki, the three designers. Their first designs were conceived and built when all three were still students at the Technical University in Warsaw (Politechnika Warszawska) and active members of the Aviation Section of the Mechanical Faculty Students (SLKMSPW). After several individual projects (WR-1, JD-2), they decided to join forces and in 1928 came up with the RWD-1 sportsplane design. Soon their projects (and ambitions) outgrew the capacity of section's workshop located in the basement of one of the university's buildings, and in 1930 the team moved to a new building founded by LOPP (Air Defense League) at Warsaw's Okecie Aerodrome. 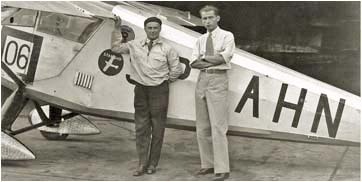 In 1933 after the untimely death of Zwirko and Wigura in an air crash on September 11, 1932, Rogalski, Drzewiecki and Wedrychowski founded a company named DWL (Experimental Aviation Works) where all future RWD airplanes were designed and built. The year 1932 marks an unprecedented success in the history of Polish aviation. 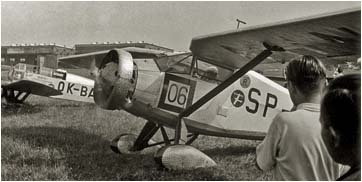 Flying the RWD-6, Zwirko and Wigura won the Challenge International handily beating other national teams considered to be aviation superpowers. The day of their victory, August 28th, became the official Day of Polish Aviation. 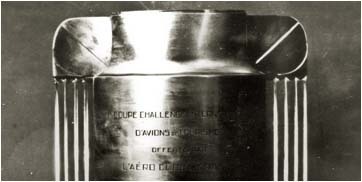 To doubters attributing the Polish victory to a "lucky break" rather than pilot skills and aircraft design, the ultimate proof was delivered two years later during the Challenge of 1934 when Bajan (with Pokrzywka as his mechanic) took first place with Plonczynski placing second. Both were flying the latest DWL's design – the RWD-9. The Second World War put an abrupt end to further development and expansion of the DWL and RWD airplanes. However, the engineering ideas and design philosophy had a marked impact and influence on both Polish and international aviation for many years after the war. © Photographs from Roman Postek collection. All Rights Reserved.